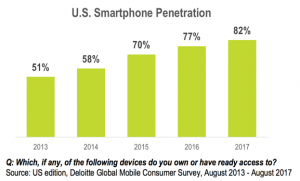 The continuing growth in mobile device usage has opened the door for marketers to gain new insights into consumer behavior and to leverage these insights to target consumers like never before. With over 80% of U.S. adults owning a smartphone, location data from our mobile devices provides real time understanding of where, when and how consumers shop. 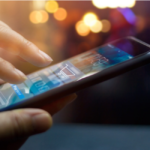 According to research firm BIA/Kelsey, savvy advertisers are leveraging this data to the tune of over $16 billion in location-targeted mobile ad spending this year. This number is forecasted to grow to $20 billion in 2018 and over $32 billion by 2021. So, what exactly is location based targeting? “Location-based targeting is simply targeting people based on where they are, or have been, geographically”, says Randi Ungar, Associate Vice President, Digital at NJ Advance Media. Every mobile device has a unique ID, and the latitude and longitude coordinates of where that device has been are being tracked. This location data enables marketers to build robust user profiles formed around actual consumer behavior. The premise is that where people go says a lot about who they are and what they intend to do or buy. Knowing when someone is in the market for a product or service allows us to serve them timely and personalized advertising messages through the apps on their mobile devices. These ads can build top-of-mind awareness at a critical moment on the consumer’s path to purchase, build foot traffic to brick and mortar locations and increase the chances of gaining a consumer’s business. There are countless situations where businesses can benefit from location based targeting. The following scenarios aim to illustrate it’s benefits and uses, and draw distinctions between some of the oft used industry terms generating a great deal of buzz lately, such as lat/long targeting, geo-fencing and mobile or geo-conquesting. In many cases a businesses’ best potential customer is someone who has shopped their store, or a competitor’s store. For a business that doesn’t collect contact information from customers, location based targeting can help them to re-engage with people who have visited their store in the past, and present a special offer to entice them to return. Location based targeting provides exactly the kind of intelligence that allows you to target your message to just the right audience. When that audience is people who are shopping competitor locations, then geo-conquesting is a great solution. For example, in the highly competitive grocery market, a store might want to reach people shopping a competing supermarket and let them know that they have better prices, more selection or higher quality offerings. Or an auto dealer could deliver targeted ads to shoppers at another nearby dealership to convince customers to shop its location instead. Regardless of the type of business, if you want to woo potential customers away from competitors then geo-conquesting can be a worthwhile investment. Location based targeting is also ideal for reaching people who are, or have been, in a particular place or attended an event relevant to your business. Lat/long targeting can be used to pinpoint an event location and collect information on who was in attendance. According to Ms. Ungar, this has worked very well in the political or issue advocacy space, where marketers can target the device IDs of people who were at a rally for a specific issue or hearing a candidate speak. They can use that information to reach people while at the event, or for retargeting them later with messages that will resonate based on their interest in the issue or candidate. Geo-fencing is a type of geo-targeting that involves putting a virtual barrier around a defined area. So rather than pinpointing just one lat/long where people are located, the geo-fence allows marketers to push content to potential customers when they enter the area. For example, if someone is marketing a festival or event in a city a geo-fence can be set up to target anyone who is in that city while the festival is going on. Location based targeting not only helps target people in the right place, but also at the right time. A geo-fence can be set up around a stadium, for instance, and nearby businesses can deliver messages with special offers for attendees to come in after the game or concert. Or if a business sells merchandise that will appeal to fans of a certain team, they can deliver their ads to people who are at the stadium when that team is playing. Restaurants can also use location based targeting and dayparting to attract business during key times of day. For instance, a restaurant can advertise lunch specials when someone is within a few miles of their location at or before lunchtime. The possibilities for location based advertising are endless. And as location technology grows and develops, the potential for new and never before seen marketing opportunities will skyrocket. As you consider if location based targeting is right for your business, reach out to NJ Advance Media, where we have a team of digital marketing experts to assist you in reaching your marketing goals.